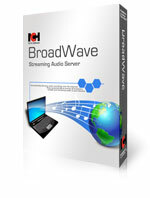 BroadWave will broadcast any audio connected to the sound input on your PC. 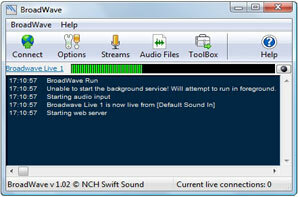 It will also stream audio recordings that are loaded as wav, mp3, wma, aiff and many other formats. You will have a number of connection types to choose from. 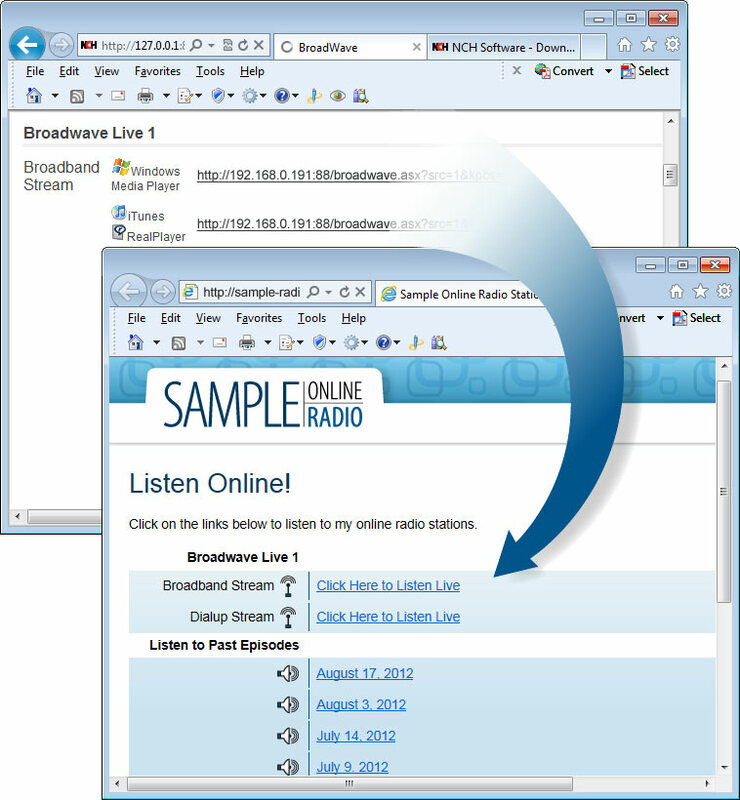 Use the links we provide on your website, or simply send the links to friends so that they can listen to your streaming audio. BroadWave is your answer to streaming live audio over the web using your computer. 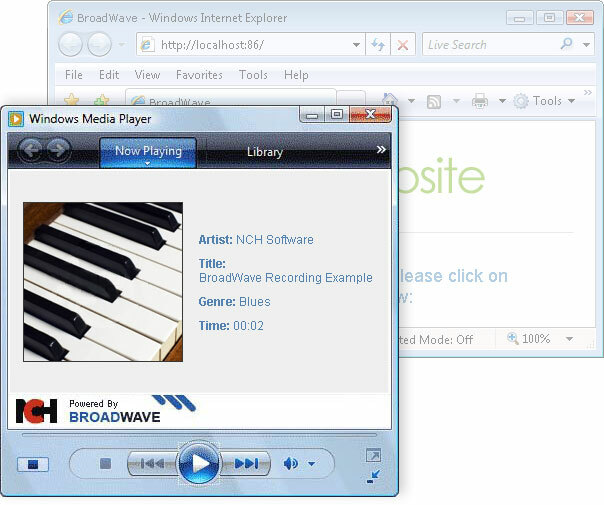 It can also stream audio recordings loaded in most audio formats.